Hi everyone! 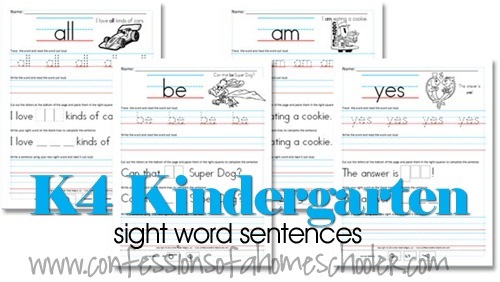 I’ve had several requests for a K4 Kindergarten sight word sentences worksheets. 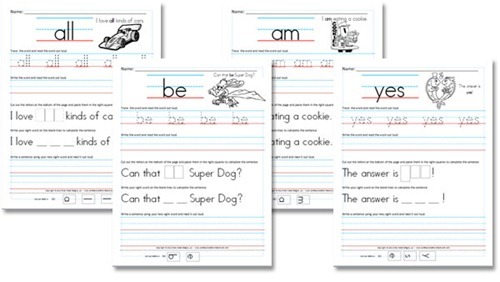 What makes these different from my other sight word sentence worksheets? Well, these words correlate directly with my K4 Kindergarten curriculum so you can use them as you go along through the program. Each worksheet has a new word along with a funny sentence. Students will practice tracing the word several times. Then they will write it on their own. Next they will add the word to a funny sentence, and make up their own fun sentence to go along with their new word. Students will also cut out the letters and spell the word correctly to complete a sentence. This is great for fine-motor skills and spelling practice! Finally they will make up their own sentence using their newly learned sight word! The repetition of using and reading the word, along with the variety of activities really helps students remember their sight words! 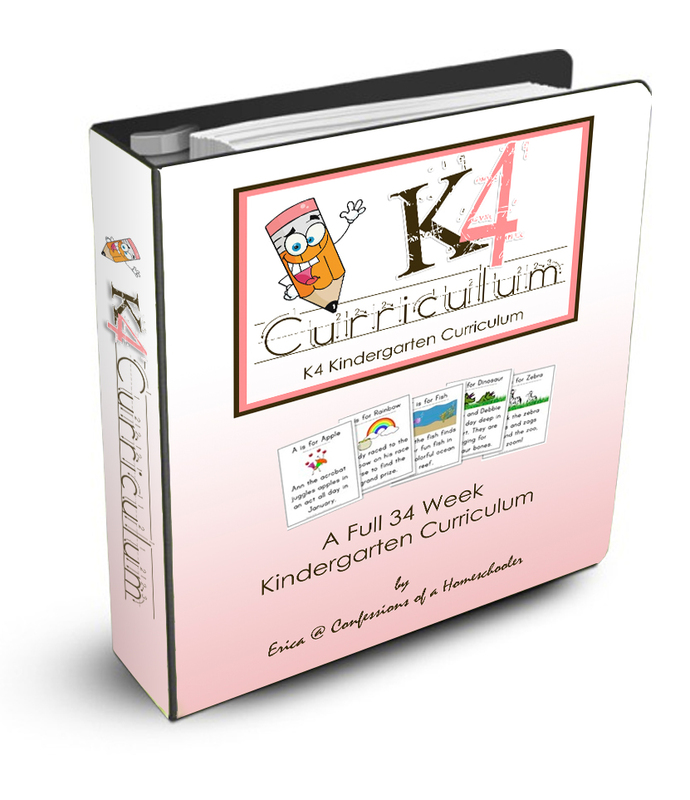 Please note: This download includes 45 K4 Kindergarten level sight words and correlates directly with my K4 Kindergarten curriculum. 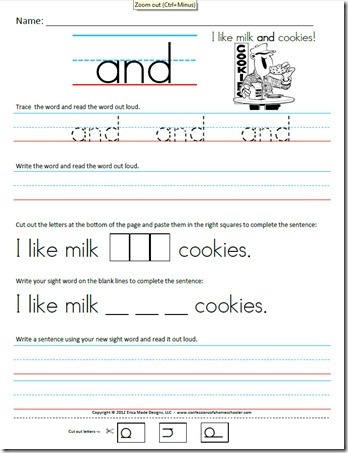 If you would like more words, please download my other sight word sentence worksheets below. They’re listed by grade, and the word lists follow the Dolch sight word list recommendations. NOTE: These printables are now included in my K4 Kindergarten Curriculum. If you purchased your curriculum prior to today, please feel free to download these fun worksheets and add them to your curriculum for the year! You’ll want to add them in on Monday of your lesson plans starting on week 3 in place of introducing sight words for the week. I also have a lot of free kindergarten worksheets on my free printables page! Thank you for sharing everything you do! I love coming to your site and finding new and fun things for my kiddos homeschool work. We are getting ready to start Expedition Earth and I can’t wait! Thanks! These are awesome! We did your Letter of the Week program and loved it! Looking forward to starting K4 Kindergarten in the fall. Thanks for your free worksheets – – they are great! I just downloaded and printed these to use for Kinder. These are amazing. Thanks so much!!! Thank you for being free and sharing! I have been working on these sight words with my daughter and she has been picking up amazingly for not being in kindergarten yet.